Mary Frances (Turner) Elbert was the only child of Fred Henry (Jack) Turner and Frances (Sprofera) Turner. Born on August 1, 1932 Mary spent her childhood in the greater Kansas City area, graduating from Hogan High School in 1949 and Avila College in 1953. She married John J. Elbert after graduation and spent the next few years in Hawaii and California while John was in the U.S. Navy. Retuning to Kansas City in 1955 she and John raised four children, Cathleen, John Patrick, Joan and Janet. Mary returned to higher education part time balancing motherhood and academia. She earned her Ph.D. from the University of Kansas in 1976 and was a Professor in the Department of Speech and Hearing Sciences at Indiana University from 1977 until 1997. She enjoyed her research endeavors and was proud of her students who after studying with her went on to successful careers of their own. She suffered the loss of her husband John in 2003, her daughter Janet in 2008 and her son John Patrick in 2011. Iomi Geiger Patten and Nile Sarkisian and two amazing grandchildren Myla and Krishna. Her daughter, Joan is happily married to Frank Mattern and lives in Boise, ID. 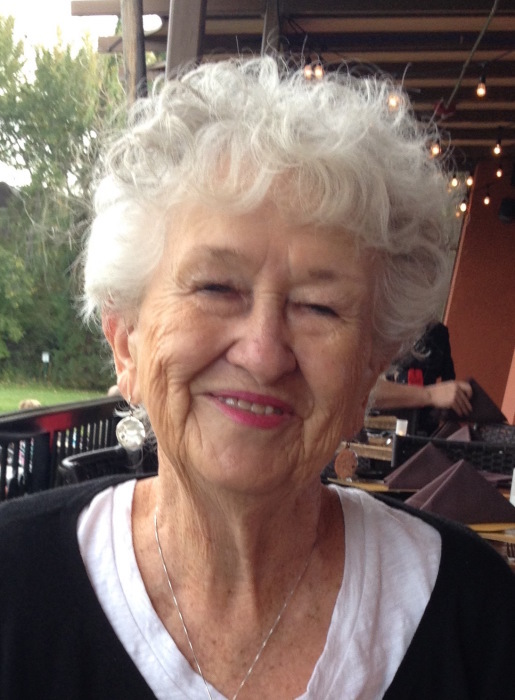 After retiring, Mary lived in Hana, Hawaii for six years enjoying the companionship of her delightful daughter Cee and then spent her last few years in Boise, ID with her other delightful daughter Joan and her husband Frank who “spoiled” her with attention and affection. Mary lived a full life and was always grateful for family and friends who shared their lives with her. Special thanks to MSTI and St Luke’s Hospice. In lieu of cards and flowers, extend yourself to reach out in one gesture of kindness towards someone you don't know, in Mary's honor. A memorial service will be held at the Idaho Botanical Gardens on September 30, 2018 from 3:00-5:00 pm. Please visit Mary’s memorial webpage online at www.bowmanfuneral.com.